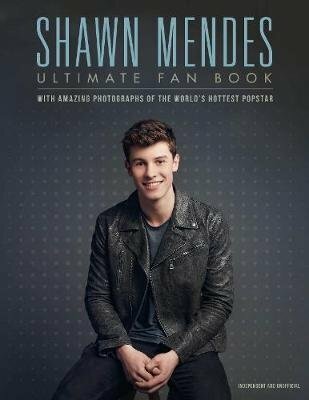 Shawn Mendes: The Ultimate Fanbook is a must-have for any fan of this new rising star in the pop world. Charting his rise from Vine star and creator of six-second pop covers, all the way to heading a world tour that sold out in six minutes, this book is filled with fantastic photographs of the heart-throb, giving a behind-the-scenes look at this comparatively young artist. This ultimate fanbook delves into Mendes' pre-fame life as well as charting his journey to recent success, even looking at his budding friendships with celebrities such as Taylor Swift, Fifth Harmony, and The Vamps, musicians who saw his potential and took him under their collective wings as he rose to the top. Shawn Mendes is 2016's 'one to watch'. With Number One hits worldwide and two albums under his belt, and there is no sign of him stopping him from become the world's hottest star.